Scott Dixon after winning his fifth IndyCar title, Sonoma Raceway 2018. Can anyone match the consistency of Dixon-Ganassi? 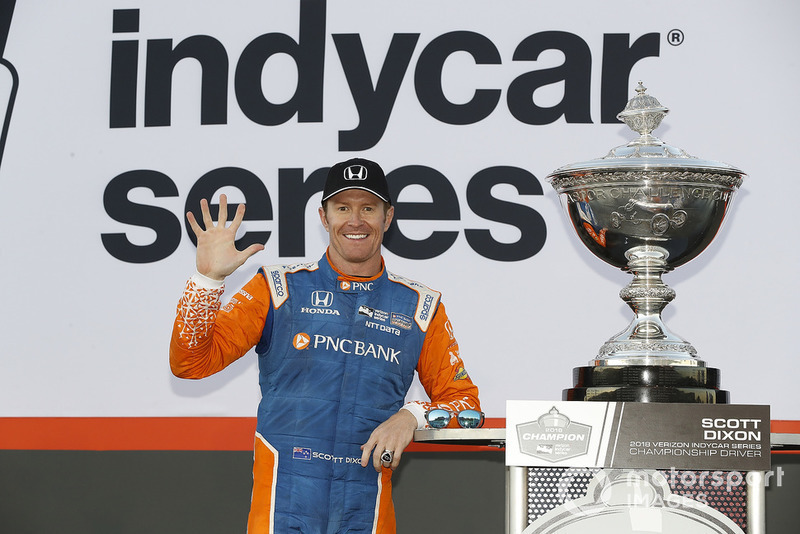 First of all, it’s hard to imagine how even Scott Dixon and Chip Ganassi Racing can match their own consistency from last year – just four finishes outside the top five, and two of those were sixths! But assuming if they’ve done it once, they can do it again, then you of course have to look at the fastest drivers/teams as the most likely contenders to topple a combo that has won three of the last six IndyCar titles. So that would be Andretti Autosport’s Alexander Rossi and Ryan Hunter-Reay and Team Penske’s Will Power and Josef Newgarden. Over the past couple of years, all four have proven they can make dominating a whole race weekend look easy. But stringing together a whole season without DNFs – that’s a lot harder. 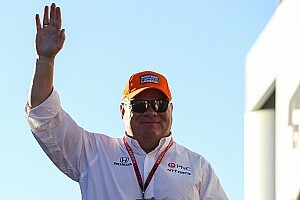 Chip Ganassi has a very simple rule that he hammered home to drivers like Dixon and Dario Franchitti over the years – if you can’t finish first, finish second, if you can’t finish first or second, finish third, etc. And hey, it works! The top five in the 2018 championship were in the order of fewest number of operational/driver/mechanical blunders over the course of the year. Should Simon Pagenaud recover his form (see below), then he has to be considered a title contender too, because at his best (2016) he was relentless. James Hinchcliffe of Arrow Schmidt Peterson Motorsports and Dale Coyne Racing’s Sebastien Bourdais should also have the wherewithal to accumulate points so that they’re contending for a top-five finish in the points table by year’s end, but it’s hard to imagine either of them having the requisite number of highlights to beat Dixon to the championship. 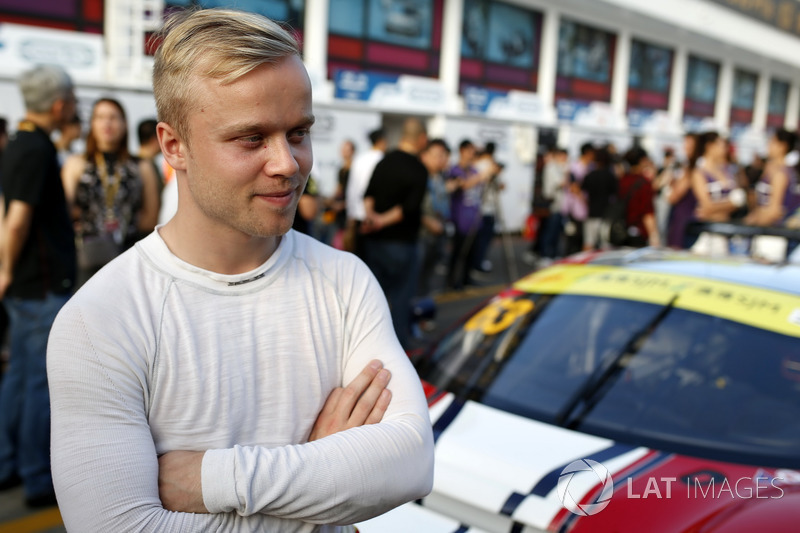 Felix Rosenqvist is set to make his NTT IndyCar Series race debut with Chip Ganassi Racing-Honda next month. Which new Swedish import will impress most? Marcus Ericsson has the Formula 1 experience, Felix Rosenqvist has the just-about-every-other-series experience. Ericsson is driving for a team still on the rise, Rosenqvist is in a team that’s been at or near the peak of U.S. open-wheel success for almost a quarter-century (Ganassi has 12 drivers’ titles since 1996). Ericsson will be directly compared not only with regular race-winning teammate James Hinchcliffe, but also indirectly with Arrow SPM’s super-rookie from 2018, Robert Wickens. Meanwhile, Rosenqvist will be learning from but also compared with the five-time and reigning IndyCar champion Scott Dixon. A masterclass opportunity, yes, but one that comes with pressure of knowing you’re facing a legend. And each has the added pressure that more will be expected of him than the other rookies, because of their heritage. But then pressure is the name of the game, and while both Rosenqvist and Ericsson will initially be forgiven rookie errors if they’re fast, neither Ganassi nor Sam Schmidt are tolerant of drivers who don’t make notable progress in polishing up their flaws over the course of a season. 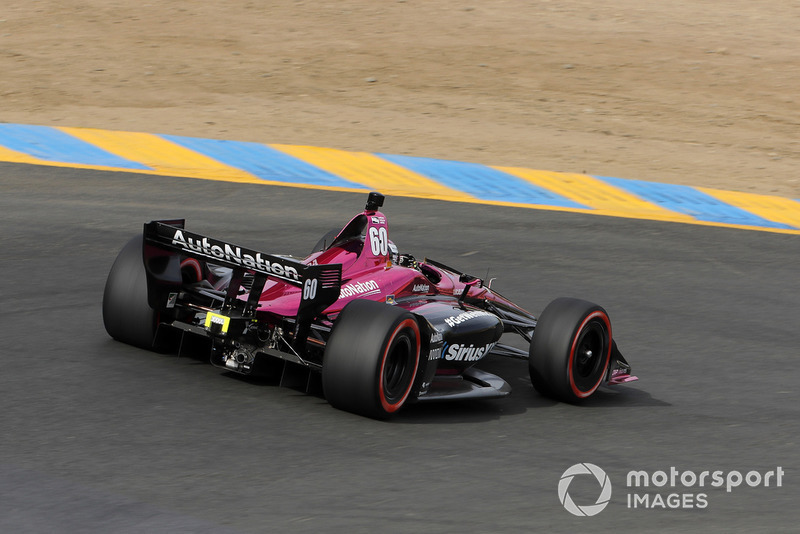 Patricio O'Ward made his IndyCar debut with Harding at Sonoma last year but how many races will he get in 2019? Speaking of rookies, how will the Steinbrenner Harding Racing situation resolve itself? Sadly what was hailed last September as an expanded two-car Steinbrenner Harding team for 2018 Indy Lights champion Pato O’Ward and runner-up Colton Herta which would switch to Honda engines is not (yet) in the form it was advertised. While there is no official word yet, one informant told Motorsport.com that in fact the team has just one full-time engine lease, presumably for Herta’s #88 car, while the current plan is to run the #8 for O’Ward at the Indy 500 and for as many other races as his $1m prize fund for the Lights title will stretch. Some might say it would be more fair to have Herta and O’Ward sharing the fulltime car, but George Steinbrenner IV’s money is tied to Herta – they are genuine friends. And anyway, would switching drivers in and out be smarter? Or would it just hurt the progress of each, in a situation when any single-car team – especially one with rookie drivers – is already inherently compromised? Jack Harvey will pilot the Meyer Shank Racing Honda in 10 of the 17 races this season. How will the other part-timers fare? There’s little doubt that Ed Jones will do a fine job for Ed Carpenter Racing with Scuderia Corsa – and vice versa. Jones has much to prove after a sophomore IndyCar season at Ganassi that raised more questions than answers. It’s hard not to agree with Dario Franchitti’s assessment of Jones – that he needs to reach his peak sooner on any given weekend. Hopefully he has that confidence in his third year. It’s a pity that Jones won’t be competing on any ovals other than Indy, and it does raise an interesting conundrum for Carpenter. With the first eight rounds of the year comprising seven road/street courses and the Indy 500, Jones will be racing in all. Should he be high on the points table by the time Texas rolls around, could ECR run three cars? Or would Ed consider stepping down from his oval-only duties to make way for Other Ed in car #20? Jack Harvey’s work with Meyer Shank Racing has so far been inconclusive but he’s only started nine races, six of which came last year. We can assume that the partnership with Schmidt Peterson Motorsports is beneficial in terms of equipment, data and feedback, but this is still a new team to IndyCar racing, and allowances must be made. However, with MSR stepping up its commitment to 10 races in 2019, it’s not unreasonable to expect Harvey to start turning in some eye-catching performances, as he used to in Indy Lights. The Juncos Racing situation remains fluid at time of writing, but Kyle Kaiser, the team’s 2017 Indy Lights champion, is favorite for whenever there’s a car available. Over the last few months, team owner Ricardo Juncos has swung through every point between one part-time entry and two full-time cars – and in between he has started his IMSA Prototype venture. It’s an unenviable situation, but he’s smart enough not to overstretch his budget, hence the deletion of his Indy Pro 2000 [née Pro Mazda] operation. 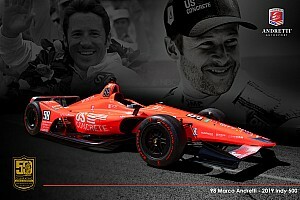 DragonSpeed’s arrival in IndyCar for 2019, even on a part-time basis, is one of the nice surprises of the offseason. Driver Ben Hanley is 34 – perhaps a little old to be a rookie in any series, but actually younger than Fernando Alonso when he made his debut at the Indy 500 two years ago. Observers of the European sportscar scene say that Hanley is very good in LMP2 and LMP1 machinery. This year he’ll have five chances – including Indy – to prove himself in an open-wheel car. 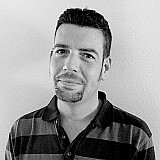 Back in ’07, he finished as runner-up in the World Series by Renault 3.5 championship. Carlin Racing has had to switch Charlie Kimball to a part-time role because his budget shrank for 2019, but as a driver with over 100 IndyCar starts to his name and driving for a team with a year’s experience of IndyCar and a quarter century of (highly successful) spec racing under its wheels, it seems likely that Kimball will be the part-timer with the best opportunity to shine. However, RC Enerson (alone) will test the #23 car at both Laguna Seca and the two-day Spring Training at Circuit of The Americas. Chevrolet won all the Manufacturer titles from 2012 through ’17 but was overthrown by Honda in ’18. Can Chevrolet reassert itself in the title race, can Honda reassert itself at Indy? With very few areas of the engines open to development this off-season, and with the 2.2-liter V6 twin-turbo engines in their eighth and penultimate season, there aren’t many gains to be made. So what we saw in 2018 will likely be repeated in ’19 – specifically, the Honda Performance Development units will provide greater torque out of low-speed corners and also offer better fuel mileage, while the Ilmor-built Chevrolets will be stronger at the top end. However, if Chevy is to recapture the Manufacturers’ title that it owned from 2012 through ’17, it must improve its reliability. All three Penske drivers were ineligible for scoring manufacturer points long before season’s end last year having exceeded the prescribed engine count, and that’s a trio that the Bowtie very much needs on its frontline. Alexander Rossi testing his Andretti Autosport-Honda at Circuit of The Americas last fall. How close will IndyCars get to F1 lap times at Circuit of The Americas? Not close at all. COTA is a 3.4-mile 20-turn course, which will serve to emphasize the difference between the 1000hp and instant torque of a hybrid F1 unit, and the 720-750hp of the more conventional IndyCar engines. F1 teams’ zillion-dollar investments in aerodynamics will also contribute heavily to what will probably be a 13sec disparity in qualifying, 10-11sec on race day. But considering an IndyCar team using spec chassis and semi-spec engines spends ‘just’ $12m per year to run well, it would be ridiculous if F1 teams – the smallest of which spends around $100m per annum – were not a couple of leagues ahead in terms of pace. Does that matter to the fans? It shouldn’t do, so long as the racing is good. Simon Pagenaud is a proven champion but a winless 2018 has brought self-imposed pressure. 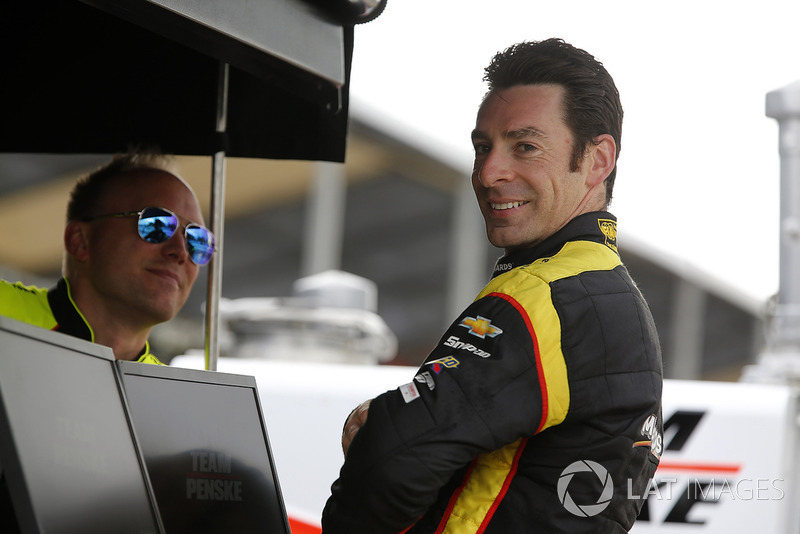 Can Simon Pagenaud bounce back? 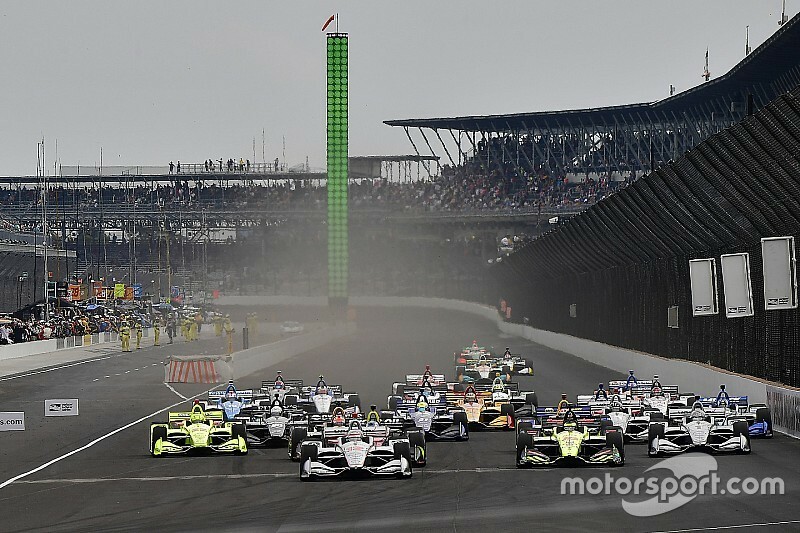 The stats say that Team Penske’s drivers finished third, fifth and sixth in the 2018 points table, but the reality is that at some races, Pagenaud was starting from a different ZIP code than his teammates Power and Newgarden. 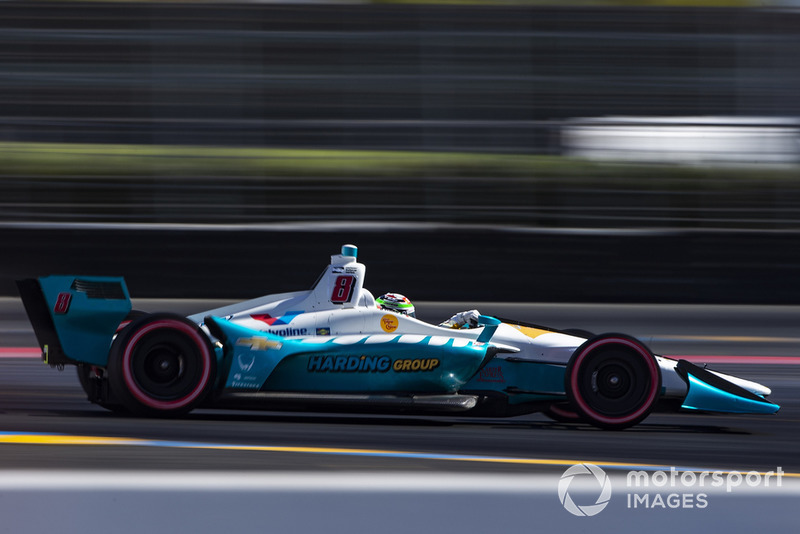 This worrying trend reached its nadir as late as the penultimate event of the season: while the silver cars locked out the front row at Portland, the 2016 champion started 22nd, behind Dale Coyne’s rookie part timers, Pietro Fittipaldi and Santino Ferrucci. As usual, Simon salvaged a decent points finish on race day because race pace was rarely a problem for him. But the ‘nervous’ rear end of the current breed of IndyCar when taken to the ragged edge in qualifying often left him with too much work to do on Sundays. Newgarden, who was sometimes affected by the same issue, albeit to a far lesser extent, says that Penske’s three-car test in December was very productive in finding a solution and improving the stability of the car, while Pagenaud and race engineer Ben Bretzman believe they were already starting their revival at the final round of the season in Sonoma. 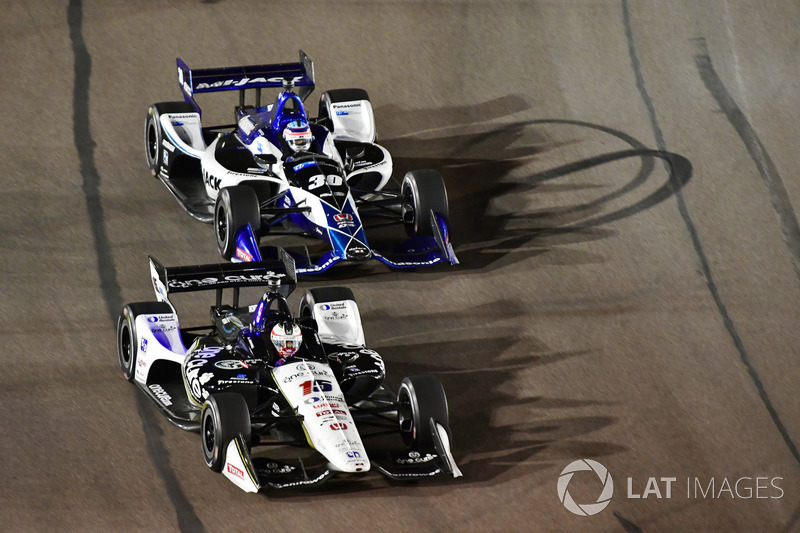 The second year of RLLR's Graham Rahal-Takuma Sato partnership needs to start bearing fruit. Will Rahal Letterman Lanigan Racing become contenders once more? Despite the delight of seeing Takuma Sato in victory lane at Portland last year, everyone knows that in terms of pace, there were a dozen faster cars on track that day. RLLR and the 2017 Indy 500 winner executed well, but the win was a lucky one. But there are two gentlemen charged with the task of taking Bobby Rahal’s team back to the heady days when Graham Rahal fought a lone battle, took the fight to the multi-car teams and beat the odds to score victories on merit. One of these troubleshooters is team president Piers Phillips who previously served as general manager at Schmidt Peterson. The other is veteran race engineer Allen McDonald, who also competed at SPM before switching to Ed Carpenter Racing last year. These two alone can’t make RLLR winners again, but both will surely benefit from the fact that the squad is into its second straight year as a two-car squad. There is so much potential at RLLR; now these two must tap it. Hard to make serious complaints about the IndyCar product, and NBC's dedication appears faultless. But will it attract new fans? Will the move to a single TV provider help IndyCar’s ratings? At this stage, we can only hope. Certainly NBC’s commitment is high, and the team did a fine job with its IMSA coverage for last month’s Rolex 24 Hours at Daytona. But people are fickle: a great product on track and a great product on screen doesn’t guarantee a large audience. All the team members – the on- and off-screen talent and the promotional departments within NBC, as well as IndyCar itself – can do is their very best. And should that not be enough to significantly boost ratings, all involved need to be prepared to make changes with astuteness and forethought. 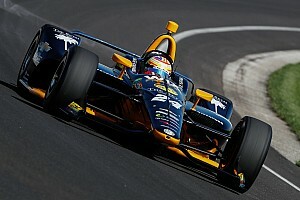 Was it too hard to pass at the Indy 500 (pictured) and ABC Supply 500 at Pocono last year? Many thought so, thus IndyCar and Firestone have worked on solutions. Will the aero changes on superspeedways improve the racing? According to Graham Rahal, following the six-car test at Indianapolis Motor Speedway last October, yes… although he believes it’s Firestone’s revised tire compound that will bring the biggest gains. Last year at Indy, the new car’s more draggy aerodynamics created a bigger tow but a narrower one, so cars rushed onto the tail of their prey but when pulling out to pass, they hit a wall of air and their momentum swiftly dissipated. In addition, the front right tire would relinquish grip in a hurry when following another car closely through a turn, forcing the drivers to lift off and lose momentum before the straights or, should they lift too abruptly, lose the rear. 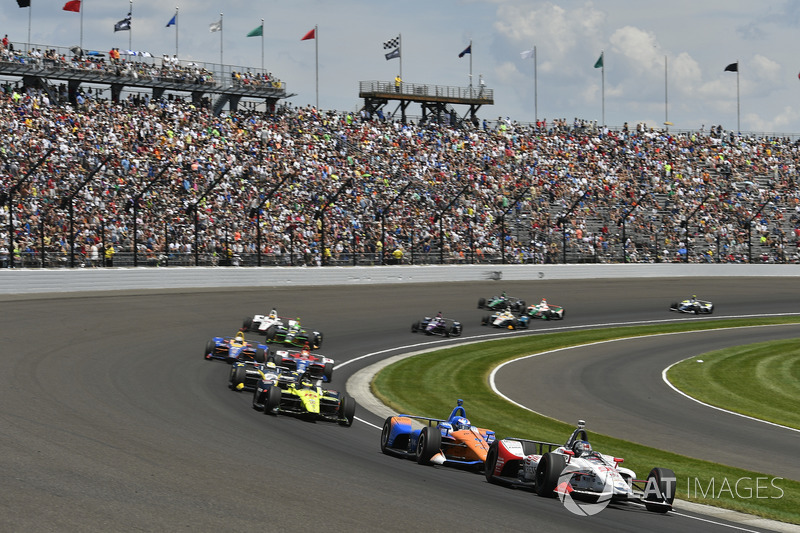 Life has taught all IndyCar drivers, crew chiefs and even fans to be wary of making predictions about the quality of racing at the Indy 500, given that the hallowed oval is so readily affected by weather conditions. An added variable for 2019 is that the drivers will also be encountering a new track surface. What is encouraging, however, is Rahal’s assertion that what worked at IMS in the fall will also aid the racing at Texas Motor Speedway and Pocono Raceway. Champ Car Spring Training was held at Laguna Seca in 2007. Here is reigning Atlantics champion Pagenaud in the Team Australia/Walker Racing Panoz DP01-Cosworth. Can Laguna Seca produce good racing and a thrilling finale? There are many who are wary of WeatherTech Raceway Laguna Seca replacing Sonoma Raceway and producing a like-for-like spectacle. Doom mongers suggest it’s too narrow and/or doesn’t have enough heavy braking zones to put on a great race. 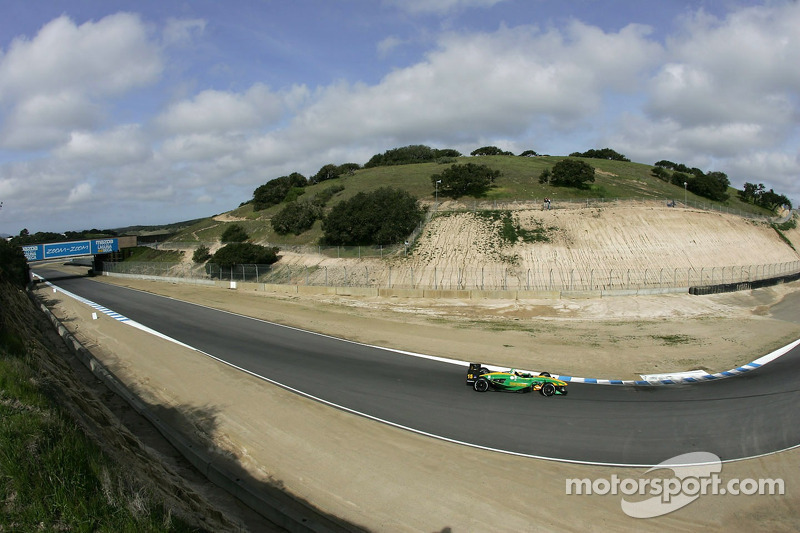 But Laguna Seca hasn’t hosted top-rank U.S. open-wheel racing since CART’s 2004 finale and the cars and the series are simply too different 15 years on to make a direct comparison and a relevant prediction. For example, mercifully these days there are no restrictions over when to pit, the one stipulation being that each finisher needs to have used both Firestone tire compounds. The truth is that it’s often aspects beyond the track design that will determine whether or not a race is ‘good’. For instance, IndyCar should always consult with team strategists before determining a race’s lap count, in order to ensure drivers can go hard and fast throughout, rather than saving fuel. The yawningly long pitlane at Road America, for example, encourages drivers to feather the throttle almost from the drop of the green flag if they think they can eke out their fuel load to do one fewer stop. Long Beach has also occasionally suffered in the recent past from its lap count being j-u-s-t within the bounds of a certain pit window. So set the Laguna Seca finale’s distance to where there is no doubt that everyone will have to make that ‘extra’ stop, and who cares if that means everyone’s stopping the same number of times? There will still be variations in strategy between when the teams choose to pit, and which stints they use their softer Firestones. The additional benefits are obvious: 1) When everyone runs hard, there’s more chance of errors, small or large, that can mix up the order, and 2) without fuel worries, the drivers will be free to use the ethanol-guzzling push-to-pass boost, hence again, more chance of racing and passing. As for aero effect when one car is closely following another on a road or street course, we have already seen that IndyCar fulfilled its own brief for the spec aerokit to heavily reduce the ‘dirty air’ problem. The reduced drag has raised maximum speeds, the reduced downforce has lowered minimum speeds, and so the braking distances are automatically far longer than in the manufacturer aerokit era. And the cars are harder to handle – again increasing the likelihood of errors. But there are circumstances outside of IndyCar’s control that will often define the nature of a race. When – if at all – will any full-course cautions fall? Are the cars/drivers that qualified within a hair of each other going to be similarly close in pace on race day? Are any fast driver/car combos starting near the back? 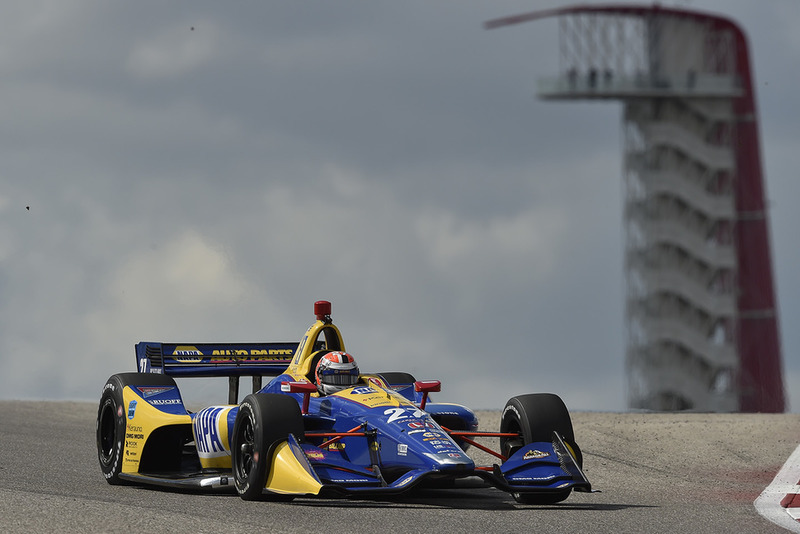 It’s hard to forget Alexander Rossi’s charge at Sonoma last September, or Sebastien Bourdais’ steer from the rear at Mid-Ohio. Significantly, both those tracks used to be criticized for their dearth of passing opportunities. 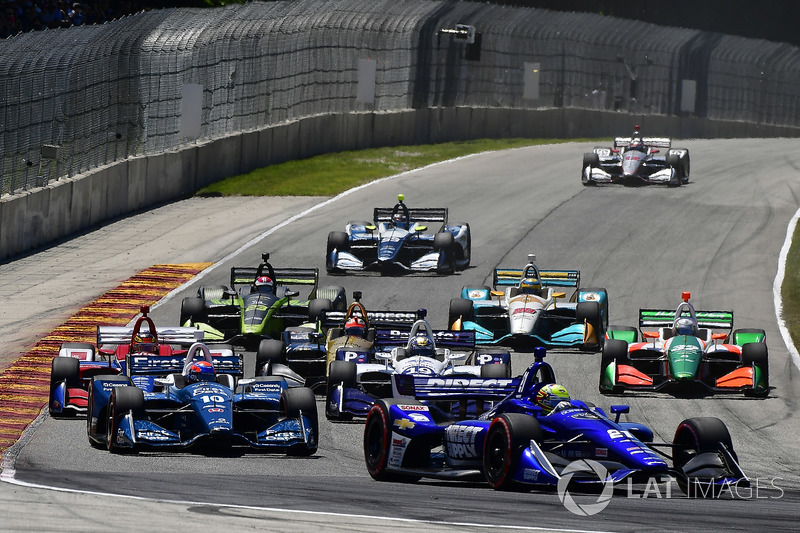 This latest IndyCar has proven able to overturn that perception, and we currently have no evidence it can’t do the same at WeatherTech Raceway Laguna Seca.